3.1 Should I buy it? 4.1 Should I buy it? 5.1 Should I buy it? No matter what time of the year it's always good to get out to discover the great Australian outback. 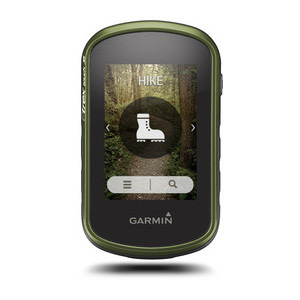 Whether it’s your first time or you’re a seasoned explorer the Garmin eTrex is a great companion to have along your side to make sure you don’t get lost. The eTrex series is Garmin’s most basic handheld unit, but don’t let the word ‘basic’ fool you as all these units pack some serious power for their small size. Out of all the handheld units, this sereis is the most portable with a size of only 5.4cm x 10.3cm x 3.3cm and weighing only 14g with batteries. With its rugged construction, it fits the definition of pocket-sized perfectly. With a wide variety of models to choose from it can be difficult to decide which one is right for you. But for now, we’ll start with the most basic model, the eTrex 10. 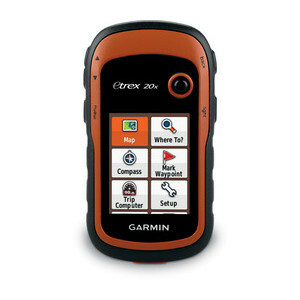 Each of the models come with a specific intent behind them, the eTrex 10 is designed to function as a basic GPS device, you can set up waypoints and some other basic functionality but it does not allow you load maps like the eTrex 20x which again comes with a couple of extra features along with all the eTrex 10 features. 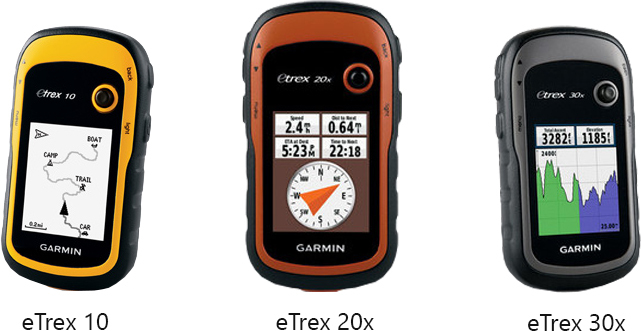 The eTrex 30x is the highest tier model for the eTrex family its offers a couple of additional extras again like the electronic compass, barometric altimeter and wireless functionality. For all intents and purposes, the eTrex 20x is the best option out of three balancing price and features. 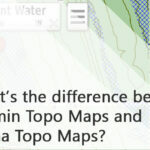 The 10 suffers from the lack of TOPO maps making it a very niche product, the 30x while the most powerful is the most expensive and begs the question as to whether the additional features are worth it. I’ve done up a comparison table on each of the models at the bottom of this article. 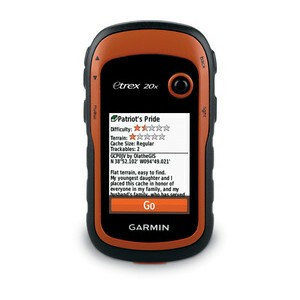 The eTrex 10 is the most fundamental of all Garmin handheld GPS devices. Everything this guy can do, every other handheld can do. It features worldwide basemap, 25-hour battery life, paperless geocaching, and can track both GPS and GLONASS satellites. 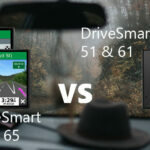 You also get basic applications such as managing waypoints, a trip computer, area calculation, and even a calendar that shows sun and moon cycles as well as best hunting and fishing times. The eTrex 10 is a great beginner device, but it isn’t without its limitations such as the inability to load maps on the device. And it’s these limitations that make the eTrex 20x a bit more appealing. As a basic function handheld GPS, this unit will do the job. It doesn't come with any extra bells and whistles but if you know exactly what you want to use it for (just GPS tracking) and don't want to waste your phone battery, this unit will do the job. The eTrex 20x is the middle-child of the series. This device has all the features of the eTrex 10, as well as a couple of added bonuses. It comes with a colour display, expanded memory for more waypoints, and the ability to add maps. The maps show up great on the display and gives you a lot more detail on your surroundings making it far easier to navigate. The most common maps loaded into the eTrex 20 are Garmin’s own TOPO maps, but the eTrex 20x is compatible with the vast majority of Garmin’s maps as well as your own custom ones. The eTrex 20x is a great budget option for those who find the eTrex 10 a bit too limiting. 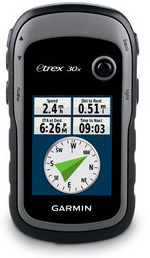 The eTrex 20x is a good affordable handheld GPS it doesn't come with a couple of 'premium' features like the barometric altimeter and the lack of electronic compass (still comes with heading compass application) these aren't major factors in my opinion and this the 20x represents the best option out the eTrex series. For the most part, the eTrex 30x shares all the same functionalities as the eTrex 20x with just slightly more features yet again. The major upgrade that the eTrex 30x offers over the eTrex 20x is the in-built electronic compass, barometric altimeter, and the ability to transfer data wirelessly with similar devices. Now you’re probably wondering, ‘why does the eTrex 10 and eTrex 20x have the compass application if it doesn’t have an electronic compass?’ Basically, the eTrex 10 and eTrex 20x is able to find out your heading by comparing where you were before and where you are now. The original compass calibration needed about 20 meters but Garmin has improved them significantly and you'll only need to walk a couple of meters at most to update. Compare this to the eTrex 30x, in which it’ll simply know your heading while you’re standing still. The eTrex 30x is designed for more experienced navigators who may need these in-built sensors for data collection. The 30x is the most powerful of these three units, it has all the features the other units have in addition to the electronic compass and barometric altimeter. Is this worth an additional $100 though? 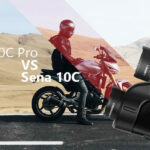 I don't think so but then again these might be critical use factors for you so you might have a different opinion but getting into this price range I'd start looking at the more powerful handheld units like the Garmin Oregon or Montana range. 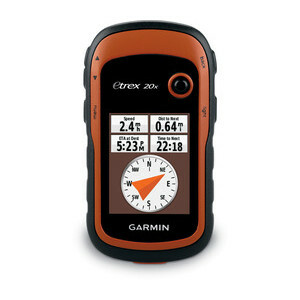 Garmin also recently released touch-screen versions of the eTrex; the eTrex 25 and the eTrex 35. The only differences between these two is that the eTrex 35 has a barometric altimeter and the ability to the share data wirelessly (Note: Both the eTrex touch 25 and 35 come with an electronic compass). Some people find that the touch screen makes it easier to type data on the device, but it comes at the cost of slightly less battery life and the touchscreen can become difficult to use during wet-weather. The eTrex units come with a range of extra accessories including bike mounts, backpack tethers and carabiner hooks. There is also a universal RAM holder mount for the eTrex models. We’ve got an accessory guide on our website on each of the eTrex models that show compatible accessories and components.